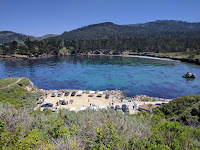 Team Half Burrito: Pt Lobos Underwater Parks Day. And scooters!! Pt Lobos Underwater Parks Day. And scooters!! 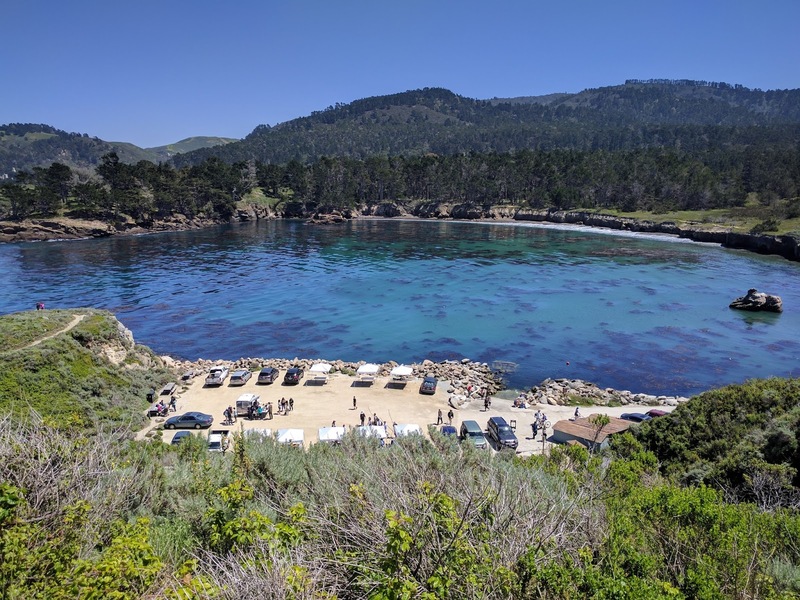 After the Carmel Middle School District's Underwater Parks Day was cancelled due to a sewage spill, we were hoping for better luck when Pt Lobos had a similar event. 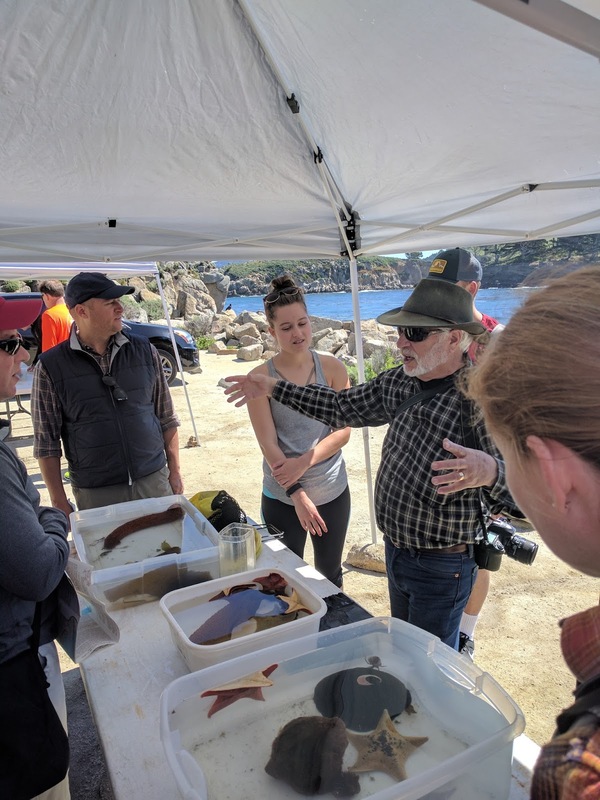 This is one of the rare days when divers get permission to collect specimens from inside the Reserve and bring them to the surface for display. BAUE has been volunteering for many years and, this year, I was fortunate enough to be one of the collection divers. Ouvea and I hopped in with another team and found some great specimens inside the cove. The highlights for me were a Phidiana hiltoni, an extremely well camouflaged decorator crab (which I actually thought was a piece of kelp when I picked it up) and a Monterey dorid. The ramp exit was pretty dicey but sea_otter was providing surface support which made it a little more manageable. Ranger Chuck was at hand to provide the constant stream of visitors with a wealth of information about the Reserve. Reef Check CA, the Monterey Aquarium and a few other conservation organizations also had booths that stayed busy all day. During the surface interval, I managed to lock myself out of the truck :P Carmel FD was around doing training drills and they managed to get me back in in no time at all. Thanks guys!! After that got sorted out, OlegT invited me to try out one of his scooters. This turned out to be a mistake as I went from thinking about buying one in a year or two to wanting one RIGHT FRICKIN' NOW. Him and Ouvea helped me get the harness adjusted and gave me some tips on handling it and then we were off. It took me a while to get the hang off it but once I was relatively comfortable, it was insanely fun. We motored past Middle Reef and towards Granite Point Wall. We stayed in midwater the whole time (which is new to me) and I got an amazing new perspective of the topography. The rock faces at the Wall somehow seemed even bigger and having that much water above and below me made me feel a whole lot smaller than usual. I was a little freaked out when I looked down and realized we were above Q Tip - I did not realize that's how far we were. The conditions were absolutely spectacular. We had about 70ft of bluewater viz which enabled us to stay on the trigger almost the entire time. A lack of P-valve hookup and getting chilled forced me to call the dive sooner than I would have liked. Amazing first time on a DPV!! I'm already starting to look at which scooter to get. BAUE divers are SUCH enablers.